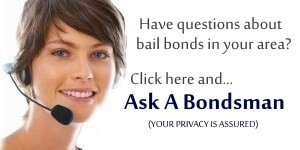 If you can afford 100% of the bail bonds, consider yourself fortunate. Most people cannot afford the entire cash bond amount which is why they use a bail bonds company. Cash bonds are paid by the defendant or other individual to cover 100% of the bail bond to the courts. The court holds this money until the defendant’s case is completed, at which time the cash bond payment is returned. Full cash bonds are expensive for some families which is why they use a bail bond company in lieu of paying a total cash bond. You can see why commercial bail bonds are important. That’s good that you can apply for an emergency loan for cash bonds if things don’t work out. it’s nice to have that kind of safety net for bail. My brother recently got into trouble with the law and we were wondering if we qualified for cash bonds. Now that I know we are we’re trying to find a good bondsman in Texas.